We put a very high value on the importance and call of the leaders of Grace Church. Using the leadership qualifications spoken of in 1 Timothy 3 and Titus 1, we have set apart these leaders among us. We also have a couple of support staff to help with the necessary functions of the church, serving the local body with direction from the leadership. To see more about the importance of leadership at Grace Church, check out our Leadership Priorities. Chris is the Lead Pastor at Grace Church, where he has served since 2005. He bears the primary responsibility for our preaching, teaching, and discipleship ministries. He was born and raised in Boise, Idaho and is a die-hard Boise State football fan. Though not raised in church, he experienced God’s life-changing grace when he was 19 and continues to seek to live in awe and wonder of the gospel. He has been in pastoral ministry for over 20 years, serving in Illinois and Kansas prior to coming to Kalispell. The majority of his Theological training has come from Reformed Theological Seminary. He met his wife, Peggy, at a Bible College in Texas and they have been married 25 years. He enjoys spending time with his family, reading, and bike riding. Bruce was blessed to grow up in a loving Christian family in the Oklahoma City, Oklahoma area. He became a police officer in 1982, served for over 18 years on the OCPD Tactical (SWAT) Unit, and spent the last 9 years of his career as a full time instructor at the OCPD Firearms Training Center. He retired as a Master Sergeant from the Oklahoma City Police Department in 2013, when he and his wife, Luanne, moved to Kalispell and began attending Grace Church. 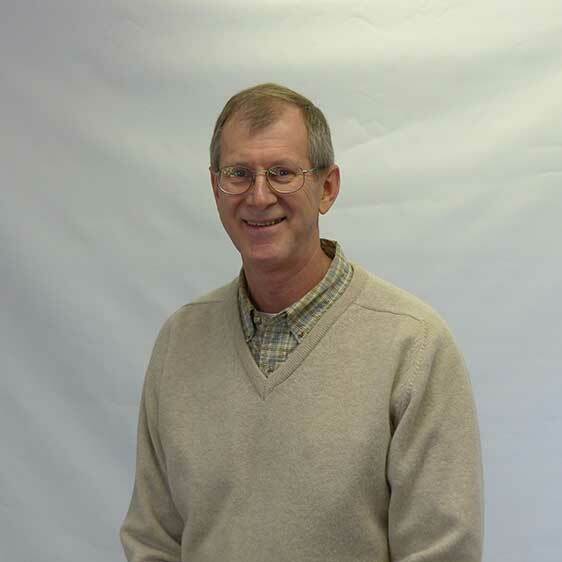 Bruce serves on the leadership team at Grace Church and assists with the Young Men’s Discipleship Course. Jacob grew up in Moiese, a small town in western Montana. After high school, he moved to Bozeman to pursue a Mechanical Engineering degree at Montana State University. 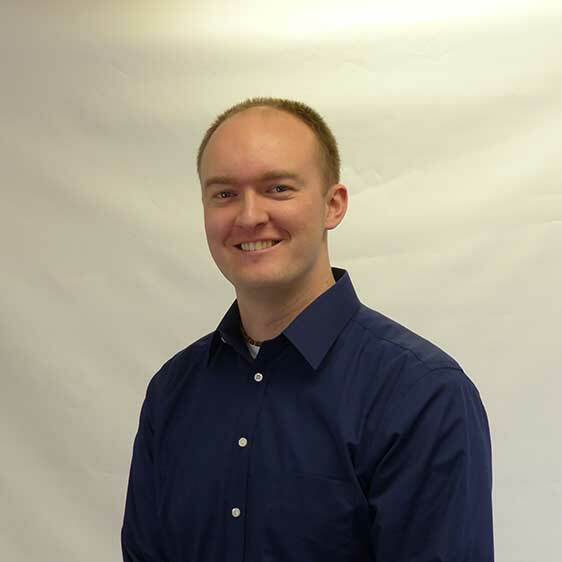 He moved to Kalispell in 2005 for a job as an Engineer at Semitool/Applied Materials, where he currently works. 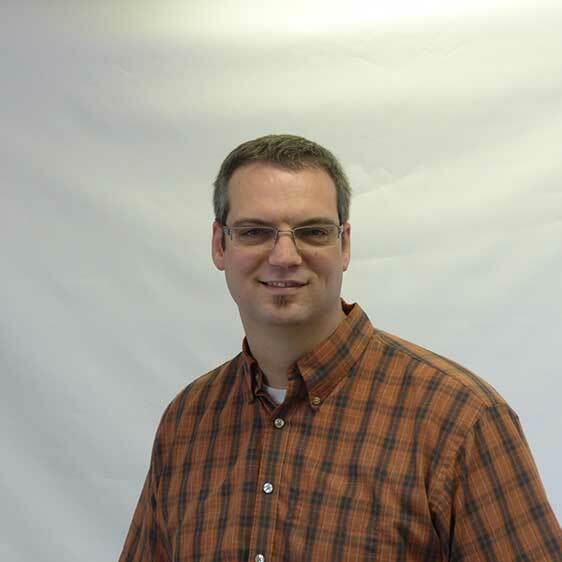 Jacob has been part of Grace Church since 2006 and currently leads several Bible studies, co-leads a gospel community group, is on the missions committee, and serves as a leader of the church. In the summer of 2014 Jacob was married to his beautiful bride, Cherith, and their son Nathaniel was born in fall of 2017. Jacob enjoys filling his free time with hiking, photography, walks with his wife, reading, drinking coffee, and watching or playing sports. Nick heads up the Sound & Technical Teams and assists with overall computer-related items as well as being the church treasurer. He was born, raised, and homeschooled in Kalispell, MT before attending a 2 year Bible School in Plymouth, MN and receiving a Certificate of Biblical Studies. He currently owns and runs a local I.T. & Web Consulting company. He and his wife Jennifer enjoy having people in their home and spending time with their 4 children, Abriana, Malachi, Lydia, and Silas. Dennis was blessed to be born and raised in a christian home in the mid-west. He attended and graduated from Faith Baptist Bible College (BS, BA, ThB) where he also met and married his wife Kathy. Dennis has served in ministry for 25 years and 9 years as a Bible Centered Ministry International missionary directing Big Sky Bible Institute. Presently, he is a supervisor at Turtle Bay Treatment Facility (juvenile mental health) in Kalispell. Dennis and Kathy have attended and been growing at Grace Church for 10 years now and have 2 children and 8 grandchildren. Jay was born in Denver Colorado, but moved to Los Gatos California at the age of seven. He became a Christian at the age of twelve, after hearing Billy Graham explain the cross. He graduated from San Jose Bible College in 1984 with a BS degree in Pastoral Training/Christian Education. He married Tracy in 1984 and they have six children and eleven grandchildren. They have been at Grace Church for 13 years. Jay served on staff at Grace doing memberships care, and was a church leader for a period of three years. Jay worked as a youth minister in San Jose, CA for nine years and then worked as a Detention Officer for the Country of Santa Clara for almost ten years. He worked as a Detention Officer for Flathead County for seven years. 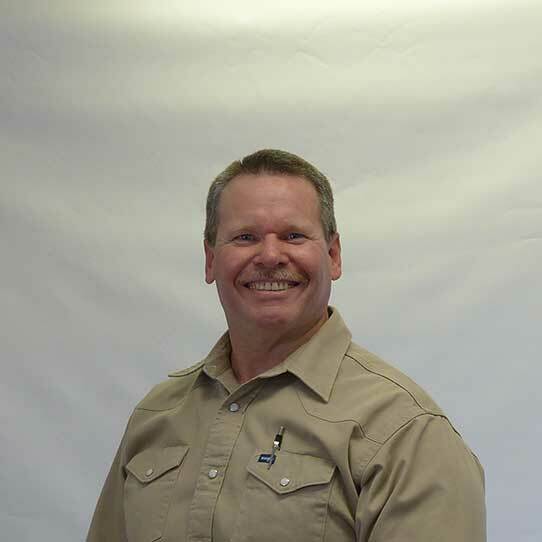 He and Tracy manage several properties in Kalispell. Currently Jay leads a small group and helps on the worship team. He serves as the Deacon of Crisis Care. Jay enjoys reading and swimming, having people in his home and especially enjoys spending time with his wife, children and grandchildren. Ben and his wife, Deborah, started attending Grace Church in November 2017. He is involved in organizing a number of areas which support the worship services at Grace. His areas of responsibility include greeters, ushers, nursery, communion and other areas of operations. He enjoys connecting with visitors to Grace Church and also enjoys connecting them to the Grace Church community. 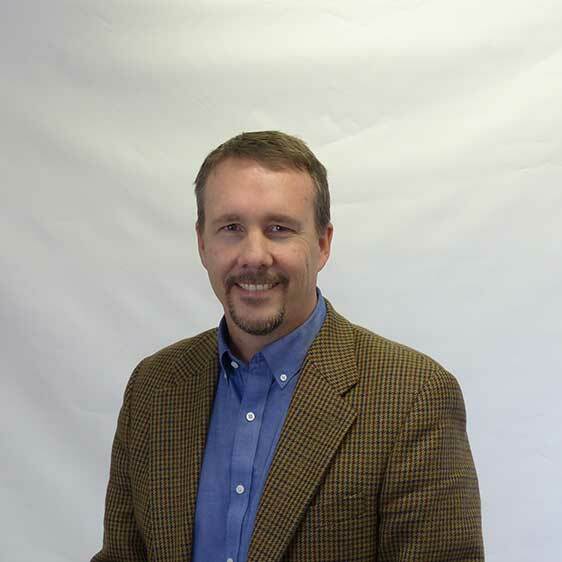 Ben graduated from the University of Washington and spent a career in the employee benefits industry in Seattle. He is now an investment advisor and owns his own Investment Advisory Firm located in the Flathead Valley. Ben and his wife Deborah definitely feel called to NW Montana. They enjoy having people in their home and are working to keep up with the challenges of an orchard and a large garden. Their six children are all adults and live in various places in the US and abroad. Jason was born in Pennsylvania in a conservative Mennonite setting and moved to New York at the age of eleven. He heard the gospel early on and, at the same age, was touched by God’s mercy. He met Jen at a Bible school in Pennsylvania in 1996 and they were married in 1999. Together they have three biological children and one permanent foster child. As a family they enjoy boating in the summer and skiing in the winter. Jason and the boys love hunting and camping every year. He has served in the past as youth pastor and worship leader as well as youth Bible school director, and currently serves on a worship team. Jason has done construction all of his life along with some professional driving. Currently he owns a company which manufactures and delivers portable storage buildings. The Kauffmans first attended Grace church in March of 2017 and became members in the Spring of 2018. Don was born and raised in Spokane Washington, attended Spokane Community College, Inland Empire School of the Bible, Washington State University, and University of Phoenix. He heard the gospel in a Christian and Missionary Alliance church and came to Christ at around 15. He met Beverly in Renton, Washington and they have been married for 23 years. They had a blended family of nine children and are currently raising three of their grandchildren. Don worked as a Software Engineer for Boeing for 27 years and left there about 4 years ago. After leaving Boeing he taught Software Engineering at two colleges before moving to Kalispell. He enjoys hiking, camping, and has many other interests. He understands construction and building maintenance, having built an addition on his former home as well as a two story shop and garage. He is currently building their family home near Kila. He began attending Grace Church in July 2017, and in 2018 Don and Bev became members and are becoming more involved in the gospel community at the church.